Welcome to our Parkland office! On your first visit to our Parkland practice you will be welcomed as a member of our family and our receptionist will greet you with a warm smile. You will then be asked to fill out our required forms which will help us gather some information about yourself and your condition. Once the necessary paperwork is filled out you will need about a half hour with the doctor and staff. 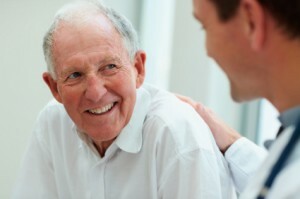 Discuss your health issue and see if Dr. Bogart can help you. We will then talk with you and ask you some specific questions regarding your condition to determine if chiropractic care may be of benefit to you. Bring all MRI / CT reports, or medical records you may already have from other doctors regarding this issue. If Dr. Bogart can help you, he will let you know. If he cannot help you, you will be referred to to a more appropriate practitioner. Nothing will be done in our office without your consent. After a thorough consultation in our Parkland office with the doctor, you will have a complete chiropractic, orthopedic, and neurological examination. This will include testing to determine the exact location and cause of your problem. The doctor will gain valuable information regarding your condition so that a better understanding of how chiropractic can help you. If necessary, the doctor may take X-rays or refer you for additional testing procedures. We have the most up to date digital x-ray technology. If a chiropractic problem is found, X-ray’s may be required to get a full evaluation of a patient. The need for X-ray is considered on a case by case basis. Our equipment is state of the art for imaging. After your thorough examination, Dr. Bogart will review your case, and X-rays if taken, and determine the best course of action. This will be gone over with you on your next visit. Contact Parkside Health & Wellness now to schedule a a time to come visit. *Please Note: Saturday hours are every other week. Please call our office for availability. Warm and friendly environment. I’m very happy with my first two treatments with Dr. Bogart. Dr. Bogart’s consistent care was able to prevent surgery that her pediatric specialists all agreed was the answer. It was a natural decision to get the whole family under chiropractic care. Dr. Bogart’s attention to detail and ability to put you at ease are what make the experience enjoyable. Whenever I have concerns with his health, I bring Braden in to Parkside Health & Wellness before I even call the pediatrician. - Trisha & Braden C.
I am a firm believer that by correcting any misalignments I had, the delivery process was made much more comfortable for myself and my baby!